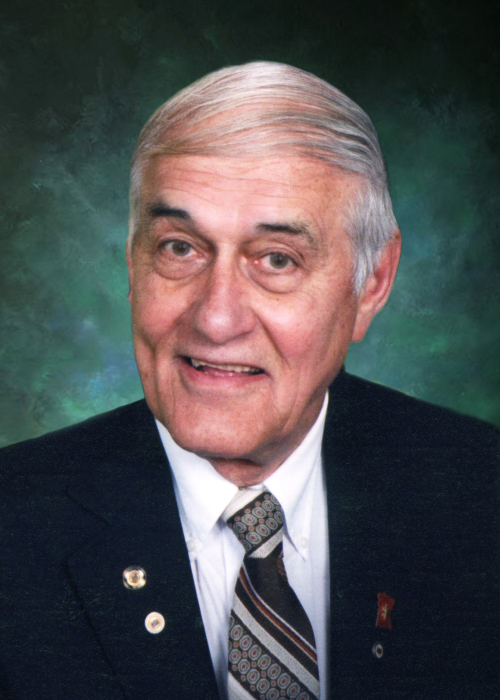 James Anthony Slifka, 79, of Medford passed away peacefully Saturday June 30, 2018. Jim, the youngest son of Lawrence and Elizabeth Slifka, was born on December 3, 1938 in Cresco, IA. He graduated from Cresco High School in 1956 and went on to get his teaching degree from Winona State. While in Winona, he met Charlotte Johnson. Upon graduating from Winona State in 1961, he accepted an Industrial Arts teaching position at Medford School. Jim married Charlotte and together they loved the Medford community. They spent 57 years together in Medford where they raised their 4 children (Todd, David, Kelly and Jennifer). During his 35 years of teaching at Medford High School, Jim dedicated endless hours and years to coaching wrestling, football and track. Throughout the years, he received numerous teaching and coaching awards. Highlights were his induction into the Minnesota Wrestling Hall of Fame and Medford High School Hall of Fame. Jim taught Driver’s Education, often buying donuts for the morning students and DQ for his evening students. He loved his sweets! In his retirement you could spot him working in the in the fishing department at Cabela’s where he enjoyed sharing fishing stories (some may have been tall tales) and fixing fishing rods. He was a great citizen who served as a volunteer fireman, active member of Christ the King Church, member of Knights of Columbus, a 4-H County Fair judge and an NCAA Wrestling volunteer. In his earlier years in Medford, he helped with the construction of the stretch of I-35 between Medford and Owatonna. Jim was a kind soul who always gave his time and energy to others. He touched many lives in his 79 years. His passion was his family, fishing and sports. That passion continues in his children and grandchildren. Some of his favorite moments were on the water with family. Jim is preceded in death by his parents Lawrence and Elizabeth Slifka. Memorials may be directed to the Medford Public Schools or Medford Knights of Columbus. Mass of Christian Burial is set for Friday, July 6, 2018 at 10:30 am at Christ The King church in Medford. Friends may greet the family on Thursday, July 5, 2018 from 4 – 7 pm at the Medford Funeral Home (310 – E. Central Ave.) There will be a 7:00 pm Knights of Columbus Rosary. The visitation will continue from 9:30 to 10:15 on Friday at the funeral home followed by a procession to the church.